Phone headsets are critical components to call center, sales and support staff, yet often these inexpensive devices are ignored by businesses large and small. 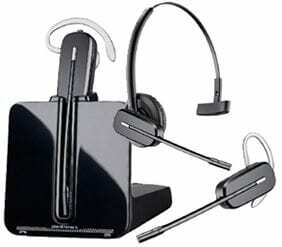 A phone headset replacement with a newer model can improve employee and customer satisfaction. Not only is it frustrating and inefficient for customer service staff to struggle with outdated and uncomfortable headsets, but missing important notes during customer conversations negatively affects customer satisfaction. For 39 years, c2mtech has grown into providing comprehensive telephone systems throughout Texas from large scale telecom infrastructure down to cabling and headsets. c2mtech interlinks small, medium and enterprise businesses and connects them to the world.